Expect to find truly unique, quality, handcrafted items—created and sold by local artists. We will have a great array of items to help kick-start your holiday shopping! There will be handcrafted jewelry, fiber arts, fine art, pottery, photography––just to name a few! 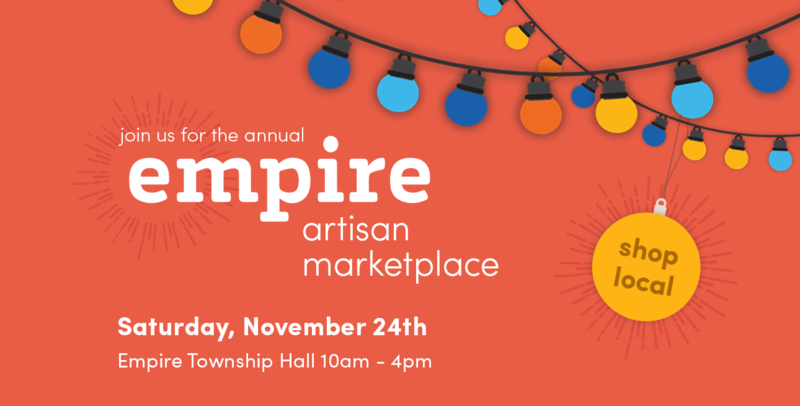 There will also be a booth to raise money for the Empire Area Community Center (EACC), which works to promote community involvement and creates activities that enhance the quality of life in the greater Empire area. Be sure to come out for this wonderful event to begin the holiday season and to support the community.